Cedar Firewood Rack & Storage Shed – Keep Your Wood Safe And Dry! When it gets chilly outside, there’s nothing you want more than a nice fire. Whether it’s in your backyard firepit or an inside fireplace, a crackling fire is cozy, fun, and warms you up better than any furnace can. But if you don’t protect your firewood from the elements, you might be out of luck. Damp firewood is a no-go for a cold-weather fire. So what’s the answer? A cedar firewood rack! After browsing quite a few firewood rack ideas, the team at Metro Building Products has put together a comprehensive set of plans for a fantastic firewood rack & storage shed! For a 3D model, download and install Google SketchUp for free, and then click on the link below to download the plans. At Metro Building Products, we’ve put together plans for a cedar firewood rack that’s easy to build on your own, with high-quality cedar wood from our inventory. While creating these firewood rack plans, cedar was our wood of choice. Why? For a few reasons. First, your firewood rack is going to be very exposed to the elements. Unlike most wood, cedar doesn’t warp in the rain, so it will remain strong and durable even in moist and damp conditions. Second, cedar resists insects like termites, which are so common in Atlanta. 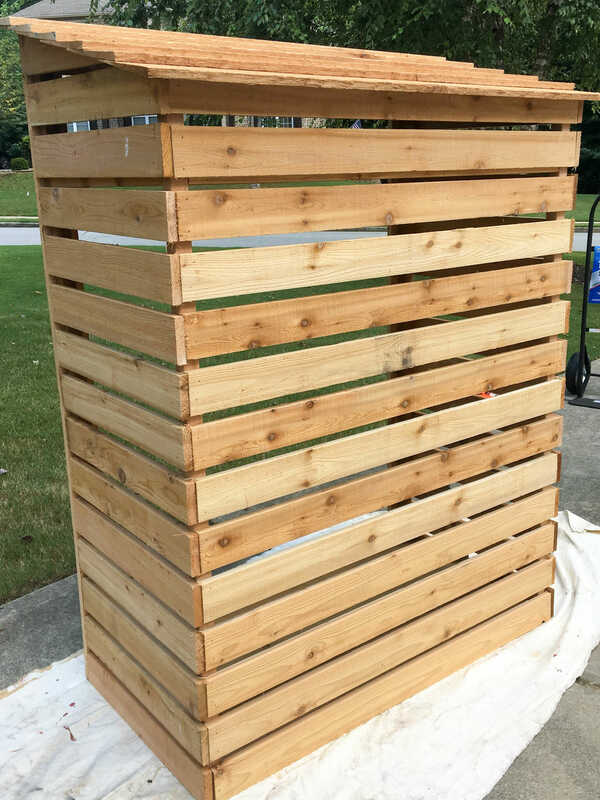 And finally, cedar wood can withstand the hot, humid Atlanta weather without rotting or decaying. Our firewood rack is quite simple to build. It’s built around 4 supporting posts, and enclosed on 3 sides using high-quality 1x4s. A large cedar plan supports the posts, and provides a floor that keeps your firewood dry by preventing it from contacting the ground. At the top of the storage rack, there’s an additional plank installed to provide a place for small kindling and pieces of split wood, ensuring you’ll have everything you need to start a fire in no time at all! Finally, an angled roof is built from cedar planks, keeping rain, snow, and debris off of the cedar firewood rack & storage shed. The end result is durable, attractive, and resistant to the elements. And with a high wood capacity and a dedicated area for split wood, our firewood rack is a perfect weekend project for those cooler months. So come into Metro Building Products today! 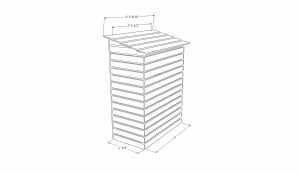 We can provide you with the plans, and sell you everything you need to build this cedar firewood rack.